Below are the yearly leaders in driving accuracy on the LPGA Tour, dating to 1992 when the tour first officially started tracking this stat. Driving accuracy is the percentage of times a golfer hits the fairway with her shot from the teeing ground. The 1872 British Open was the 12th time this major was played, as the tournament returned following a one-year absence. The 1874 British Open was the 14th time this major was played. The 1875 British Open was the 15th time this major was played. The champion won the last of his four titles. The 1876 British Open was the 16th time this major was played. The champion won it when his playoff opponent failed to show up. Neil Coles' career is marked by longevity — he won tournaments from 1955 through 2002 — and productivity. 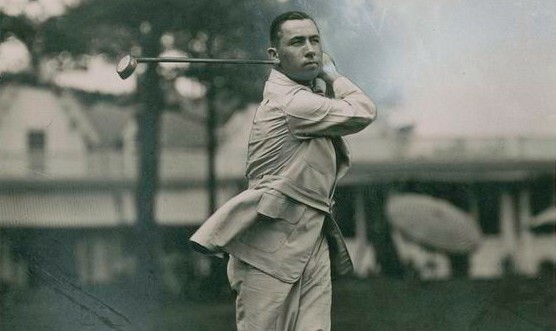 He was a British golf pioneer, and later a member of the Hall of Fame. The 1877 British Open was the 17th time this major was played. The 1878 British Open was the 18th time this major was played, and the champion earned his win with a spectacular finish. The 1879 British Open was the 19th time this major was played. For the champion, it was his third successive win. The 1880 British Open was the 20th time this major was played. The 1881 British Open was the 21st time this major was played. The 1882 British Open was the 22nd time this major was played. The champion completed a streak of three consecutive years winning. The ANA Inspiration is one of the five majors of women's professional golf, played early in every LPGA Tour season. Therefore, this tournament's list of winners has something of a split history: the winners of it as a major, and the pre-major winners. The 1883 British Open was the 23rd time this major was played. The golfer trying for four wins in a row came up just short. The 1884 British Open was the 24th time this major was played. The 1885 British Open was the 25th time this major was played. It was a one-day, 36-hole tournament. Below are the LPGA putting leaders per year, listed in two different ways of measuring putting prowess: putts per round, and putts per GIR. The 1886 British Open was the 26th time this major was played. The 1887 British Open was the 27th time this major was played. The 1888 British Open was the 28th time this major was played. A double-check of scorecard math played a pivotal role. The PGA Tour money list goes back to 1934. Below are the PGA Tour money leaders, organized by decade. The 1889 British Open was the 29th time this major was played. It was decided in a 36-hole playoff. The 1890 British Open was the 30th time this major was played. For the first time, an amateur won this championship. The 1891 British Open was the 31st time this major was played. It was the final one-day, 36-hole Open Championship. 1 — Sorenstam's rank in first Rolex Women's World Rankings, released in February 2006. The 1892 British Open was the 32nd time this major was played. This was the second Open won by an amateur golfer. The 1893 British Open was the 33rd time this major was played. The 1894 British Open was the 34th time this major was played but the first time it was ever played outside of Scotland. The U.S. Open golf tournament is the national championship of the USGA, first played in 1895. It is one of of the four major championships of men's professional golfer, and the second-oldest. The 1895 British Open was the 35th time this major was played. The winner made it two in a row in the Open. The 1896 British Open was the 36th time this major was played, and the winningest Open golfer ever earned his first title here. The 1897 British Open was the 37th time this major was played, and an amateur won his second title here. Mason Rudolph was a junior golf champion who grew into a longtime, solid PGA Tour player. Two of his pro victories were by one stroke over second-place Jack Nicklaus. Every year the LPGA Tour gives an award to its Player of the Year. Those Player of the Year Award winners are today selected automatically, through a points system. Fans can follow the standings in the Player of the Year race in the "Stats" section of LPGA.com. The U.S. Women's Open is the national championship of women's golf in the United States and one of the five majors of women's golf. It is run by the United States Golf Association and is considered the most prestigious of the women's majors. Harry Vardon won again at the 1899 British Open, which was the 39th time this major was played. The 1900 British Open was the 40th time this major was played, and J.H. Taylor got the 1900s off to a big start. Below are the annual leaders in Top 10 Finishes on the PGA Tour. The list goes back to 1980, which is the year the tour started keeping this as an official statistic. This stat shows how consistently good a golfer has been throughout a given season. This was the 12th time the Solheim Cup was played. After the European victory, the overall standings in the event's history was USA 8, Europe 4. Johnny Bulla was a pro golfer on the PGA Tour from the 1930s into the 1950s. He won only one PGA Tour event, which is surprising given that he came close to multiple majors. He was the first pro golfer to own and fly his own airplane. The British Open golf tournament goes all the way back to 1860. That's a lot of champions. And here they all are, the Open Championship winners. The 2014 U.S. Open was the 114th time this major was played, and a dominating performance produced the championship winner. The 2015 U.S. Open was the 115th time this major was played. The champion was the youngest winner since 1923. The 2016 U.S. Open was the 116th time this major was played. The 2017 U.S. Open was the 117th time this major was played. The winner matched the tournament's scoring record in relation to par. The 2018 U.S. Open was the 118th time this major was played, and it produced the first back-to-back winner in nearly 30 years. 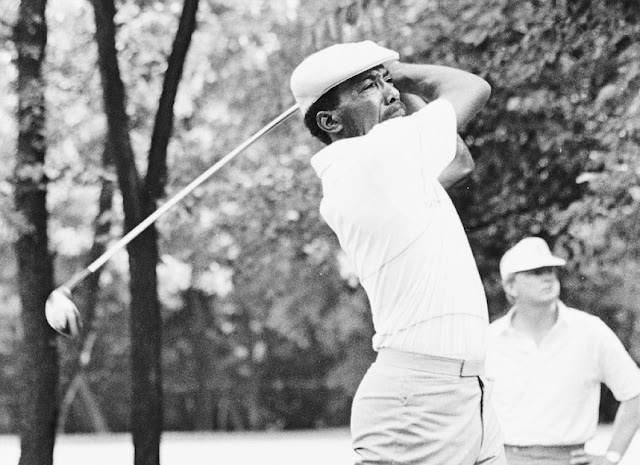 Tommy Nakajima was a top golfer on the Japan Tour for decades, but also earned notoriety for a couple of mishaps at the British Open and The Masters. The list below of LPGA Tour money leaders goes back to 1950, the first year the tour was in existence. The PGA Championship golf tournament was first played in 1916 and is run by the PGA of America. It is one of the four major championships in men's professional golf. The history of the PGA Championship is divided into the early years, up to 1957, when the tournament used a match play format; and the "stroke play era," from 1958 to present. The 2014 British Open was the 143rd time this major was played. The winner made it a wire-to-wire victory. The reason this format/betting game is called the 4-Point Game is straightforward: because on each hole, four points are at stake. At the end of the round, the side with the most points wins the game. The 2016 British Open was 145th time this major was played, and it produced a first-time major winner. The 2017 British Open was 146th time this major was played. The winner became a 3-time major champ, and a new major championship scoring record was set in the final round. This was the 10th time the Solheim Cup was played. After the American victory, the overall standings in the event's history was USA 7, Europe 3. The list of the Web.com Tour's yearly money leaders below includes multiple familiar names, including some golfers who went on to win major championships. The Women's British Open is one of the five major championships of women's golf. It is currently co-sanctioned by the Ladies European Tour and the LPGA — but neither of those organizations runs it. 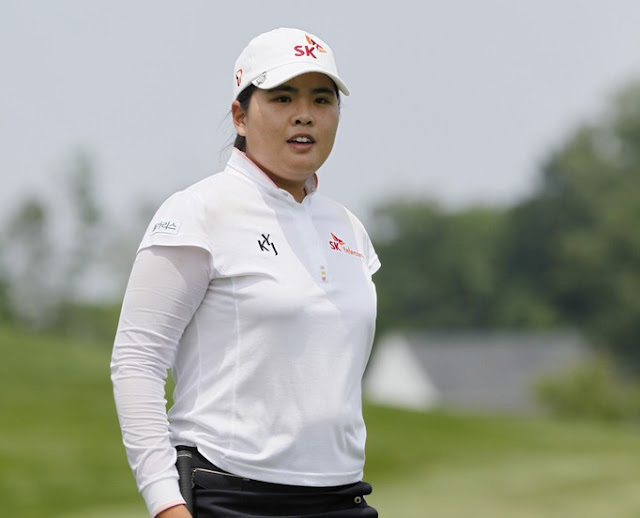 The Women's British Open (or "WBO") was run by the Ladies Golf Union for most of its history, but beginning recently the R&A now organizes the tournament. The 2014 PGA Championship was the 96th time this major was played. The winner claimed his second PGA Championship title here. The 2016 PGA Championship was the 98th time this major was played. The winner made it a wire-to-wire victory. The 2015 PGA Championship was the 97th time this major was played. The champion was a first-time major winner. The 2017 PGA Championship was the 99th time this major was played. The 2018 PGA Championship was the 100th time this major was played. And the winner earned it with a record-low score. Do you know how to play Seve's with your golf buddies? The Seve golf bet is named (obviously) after Seve Ballesteros, whose scrambling ability was legendary. This was the ninth time the Solheim Cup was played. After the American victory, the overall standings in the event's history was USA 6, Europe 3. Bernard Gallacher is a pro golfer in Europe who played the European Tour from the late 1960s into the 1990s. He's best-remembered as the fiesty captain of multiple European teams at the Ryder Cup. 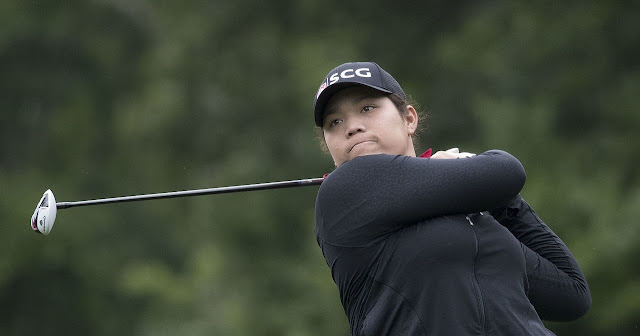 Below are the yearly leaders in scoring average on the LPGA Tour, dating to 1953 when the tour first recognized a leader in this statistical category. Season-ending leaders in this category who played a minimum of 60 rounds are awarded the Vare Trophy. The 2014 Masters Tournament was the 78th time the tournament was played, and the champion won this major for the second time. The 2015 Masters Tournament was the 79th time the tournament was played. The champion was dominating in his victory. The 2016 Masters Tournament was the 80th time the tournament was played. Their was a suprise winner following a shocking meltdown. The 2017 Masters Tournament was the 81st time the tournament was played. The winner was a first-time major champ, and earned the victory in a playoff. The Masters Tournament was co-founded by Bobby Jones and dates to 1934, when it was played for the first time at Augusta National Golf Club. Below is the list of all Masters winners. The number following the winner's name is his stroke total (playoffs are listed in parentheses). This is the list of the European Tour's Rookie of the Year award recipients. The award was first given out in 1960, which predates the founding of the European Tour, but the tour does recognize those awards given out prior to 1972. Here is the list of money leaders every year on the Ladies European Tour (LET). The Ladies European Tour is the top women's golf tour in Europe, and one of the tours that awards points toward the women's world golf rankings. This was the seventh time the Solheim Cup was played. After the American victory, the overall standings in the event's history was USA 5, Europe 2. Only four major championships are played per year in men's professional golf. So winning two of them in the same year is a very impressive feat. How many golfers have accomplished that feat? Only 20 golfers have won two (or more) of the men's majors in the same year. The Tournament of Champions event on the LPGA Tour, whose final title sponsor was the Mitchell Company, was a limited-field tournament played from the mid-1990s to the late 2000-aughts. The Ping/Welch's Championship was a golf tournament on the LPGA Tour, played in the Boston area from 1980 through the late 1990s. The World Championship of Golf is a former PGA Tour golf tournament played 12 times in the 1940s and 1950s. Although it was played only briefly, it held an important place in tour history as the highest-paying tournament of its time, thanks to its promoter, George S. May, owner of the Tam O'Shanter Country Club. The Women's Western Open is another former LPGA Tour tournament whose origins actually pre-dated the formation of the tour. 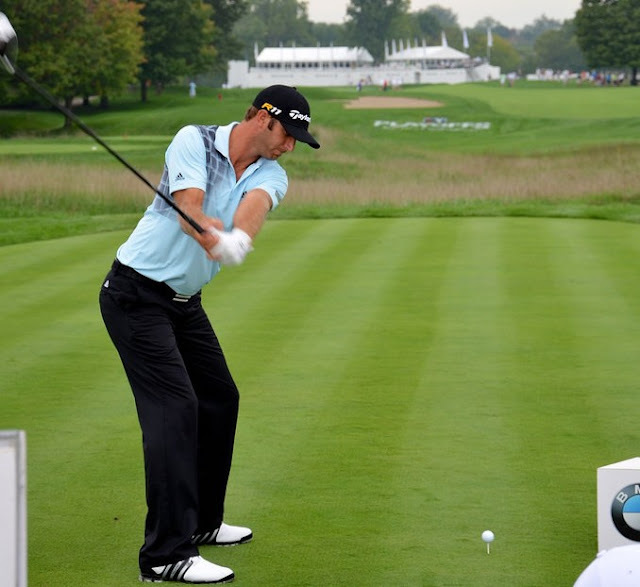 Which golfers have been the straightest drivers on the PGA Tour over the years? Below are the yearly leaders in driving accuracy, dating to 1980 when the tour started recording this statistic. The St. Petersburg Open is a former PGA Tour golf tournament, part of the tour's contingent of Florida events from the 1930s into the 1960s. The 2000 U.S. Open was the 100th time this major championship was played, and Tiger Woods turned in arguably the greatest performance ever by a golfer in a major — or any other tournament. The 1980 U.S. Open was the 80th time the tournament was played, and Jack Nicklaus won it for the fourth time. The Standard Register Ping golf tournament was played for 30 years on the LPGA Tour in the Phoenix-Scottsdale area in Arizona. It went by many names over its history, perhaps the best-remembered other name is Safeway International. The 1997 Masters was an epochal moment in golf history: It marked the fully formed arrival of the dominant Tiger Woods. One of the most-famous tournaments in golf history, the 50th Masters was the site of Jack Nicklaus' final Masters victory, his final major and last PGA Tour win. The Volvo Masters is a former golf tournament on the European Tour, played in Spain. During its run, it was traditionally the season-ending event on the Euro Tour schedule. The 1975 Masters was the tournament's 39th playing. And it was where Jack Nicklaus won his fifth Masters title. The 2008 U.S. Open was the 108th one played, and it required a 19-hole playoff to settle the champion. The 1974 U.S. Open was the 74th time the tournament was played. This one's difficulty earned it a famous nickname. The German Open is a former golf tournament on the European Tour. It was first played in 1911 and nearly survived into the 21st century, but there were about 20 years along the way in which the event didn't take place. The 1973 U.S. Open was the 73rd time the tournament was played and it featured one of golf's most famous rounds. The McDonald's Championship was a golf tournament played on the LPGA Tour from the early 1980s to the mid-1990s. The 1990 Masters was the 54th one played. Nick Faldo won it in a playoff over Raymond Floyd. Jack Nicklaus overpowered Gary Player, Arnold Palmer and everyone else in a record-setting victory at the 1965 Masters, the 29th time the tournament was played. The American Golf Classic is a former tournament on the PGA Tour that was played from the early 1960s through the mid-1970s in Akron, Ohio. Both Arnold Palmer and Jack Nicklaus were among the winners. Which golfers have led the Champions Tour in earnings over the course of the tour's existence? 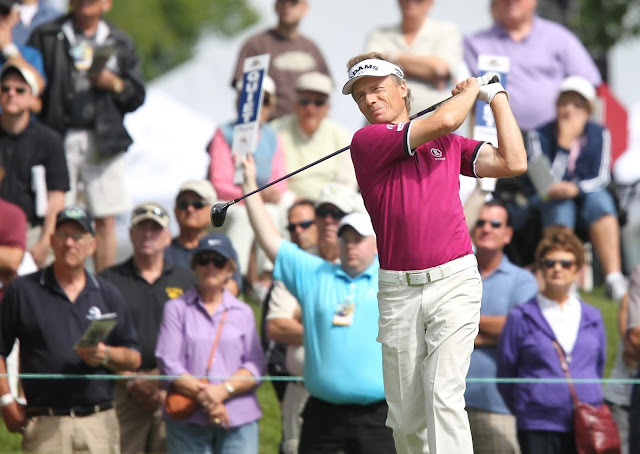 Let's find out: Below is the list of the yearly money leaders in senior golf. 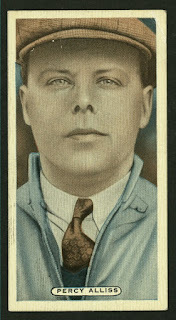 Percy Alliss was a top British professional golfer of the 1920s and 1930s who played in multiple Ryder Cups and was the father of Peter Alliss. The CVS Charity Classic is a former tournament on the PGA Tour, played from the late 1960s to the late 1990s in Massachussetts. This tournament is not related to the CVS Caremark Charity Classic, a 2-person team event played for charity that has "unofficial" PGA Tour status. The 2000 Masters was won by Vijay Singh. It was the 64th time the tournament was played. The 1934 Masters Tournament was the very first one. It was originally named the Augusta National Invitation Tournament. 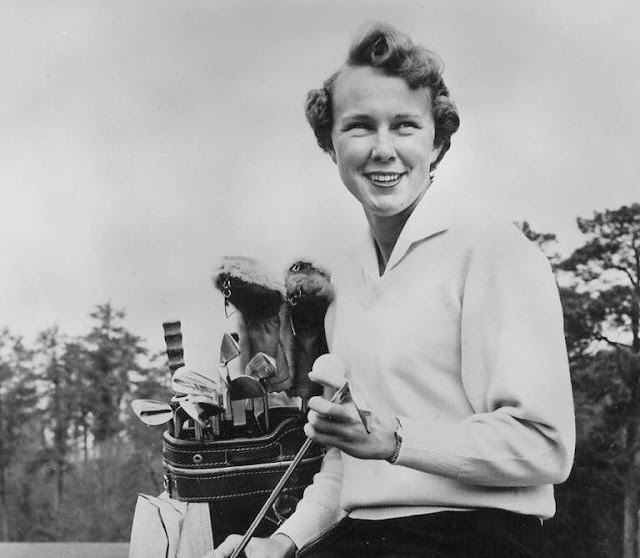 The St. Petersburg Women's Open was a golf tournament that ran from the early days of the LPGA Tour, the mid-1950s, until the late 1980s. It was played in Florida and was often known, in its first few decades, as the Orange Blossom Open or Orange Blossom Classic. The 1930 U.S. Open was the 34th time the tournament was played, and Bobby Jones won it in his Grand Slam year. The 1913 U.S. Open was the 19th time the tournament was played, and a young American amateur defeated two British legends in a playoff. The Trophee Lancome is a former golf tournament on the European Tour, played in France. ... Americans dominated the event's first decade, with wins by Arnold Palmer, Tommy Aaron, Johnny Miller (twice), Billy Casper and Lee Trevino (twice). 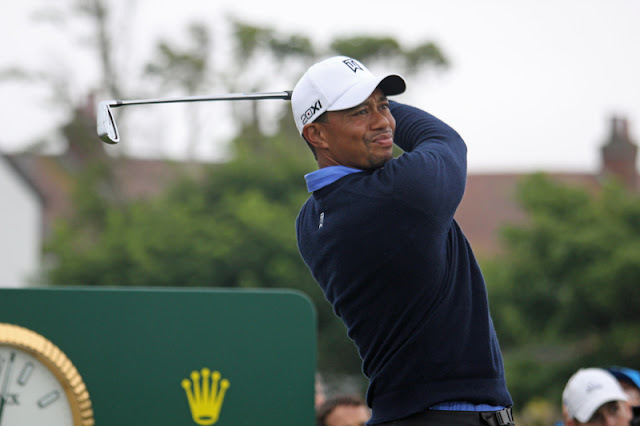 Tiger Woods won the 2002 Masters tournament for his third Green Jacket. It was the 66th time The Masters was played. The 1963 U.S. Open was the 63rd time the tournament was played, and Julius Boros won his second championship in an 18-hole playoff. This was a onetime tournament on the LPGA Tour, played in the Denver, Colorado, area from the early 1970s until the mid-late 1980s. The Masters was played for the 62nd time in 1998. Mark O'Meara won his first major championship with a birdie on the final hole. The 2007 Masters was won by the short-hitting Zach Johnson, whose course management and putting skills served him well. This was the 71st Masters played. The Scandinavian Enterprise Open is a former golf tournament on the European Tour. ... This tournament ended because it combined with another tournament in Sweden, the PLM Open. The All American Open was a golf tournament on the PGA Tour that ran through most of the 1940s and 1950s. In its day, it was one of the prestige tournaments on the U.S. pro circuit. That's visible in its impressive list of champions. The 1962 U.S. Open was the 62nd time the tournament was played, and the site of Jack Nicklaus' first professional victory. The 2002 U.S. Open was the 102nd one played, and Tiger Woods won this championship for the second time. This was the sixth time the Solheim Cup was played. After the European victory, the overall standings in the event's history was USA 4, Europe 2. Jose Maria Olazabal was the winner of the 1999 Masters Tournament, his second victory here. This was the 63rd Masters played. Jack Nicklaus won the 1972 Masters, which was the 36th time the tournament was played. 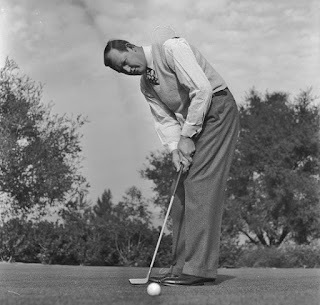 Ed Dudley was a 15-time winner on tour, and later had a very successful career as a club pro (he was Augusta National's first head pro), administrator and instructor. The Titleholders Championship originated long before the LPGA Tour existed, but is retroactively considered a major championship by the LPGA. That means all the winners listed below are credited as winning LPGA majors. The Miami Open is a former PGA Tour golf tournament, played for approximately 30 years beginning in the mid-1920s. It was played in mostly the same years and at mostly the same golf course as the Miami International Four Ball team tournament. The 2010 Masters was the 74th playing of this major championship, and when Phil Mickelson won, it was his third Masters victory.